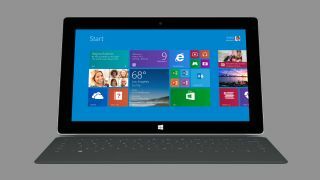 Surface 2: better, but will it sell? It's improved a lot. Is that good enough? The Surface Pro was a good device and the Surface RT wasn't, but the RT's problems weren't porky proportions or the lack of a big logo. Its problems were more fundamental. It was far too expensive. It was marketed to consumers but didn't have the apps they wanted. It was only available online and in Microsoft's handful of official stores. And it was hobbled by odd decisions such as limiting its business-friendly potential by keeping Outlook out of Office and having a no-commercial-use license. Today, Microsoft launched its successor, the Surface 2. It still doesn't have a Facebook app. Thanks to the failure of the Surface RT, Microsoft is even further behind in tablets than it was a year ago: its reputation is tattered, its OEM partners aren't amused and both Apple and Google (and in the consumer space, Amazon) have been happily shifting tablets in quantities Microsoft can only dream of while the PC business slides further down the slope. To compete with that Microsoft needed to do more than give Surface a spec bump. It needed to address the fist-chewing idiocy that doomed Surface RT from the start. I'm not sure that it has. If you compare the pitch for the Surface Pro 2 and the Surface 2 you'll see what I mean. The Pro message was clear: this is the most powerful tablet around, and it's a monster. Feel the power! But for the Surface 2, the pitch was unfocused. Is it a consumer tablet or a business one? Microsoft isn't sure, so the message was Halo vs multitasking, Skype vs saying "productivity" 500 times. It didn't work, and I think that confusion is going to be reflected in the wider market: if you considered a Surface RT last year and passed, you'll probably do the same with the Surface 2. Microsoft has taken something that was arguably incompetent and refined it until it's reached the heady heights of adequacy and competence. That's an improvement, I know, but mere adequacy isn't going to put a minority tablet on top.